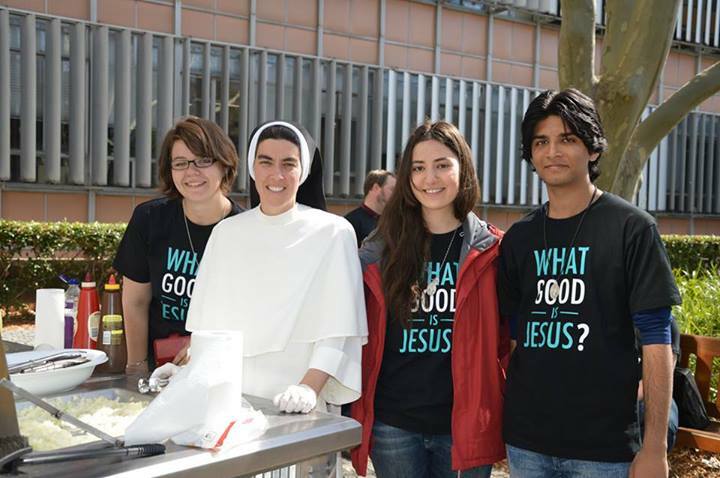 Each year the Catholic societies at each university organise weeks that proclaim the message of Christ and His Church on the university campuses. These weeks involve public talks, lectures, public stalls on the university concourses, free food, concerts as well as promotional endeavours such as postering and leafleting, all with the aim of evangelising the university culture. Students engage with their peers and seek to invite friends along to events. The mission weeks are great fun and are a central work of evangelisation in the life of Catholics on their university campuses. Usually two main mission weeks are held during the acadmeic year: Christ Week and Life Week. Christ Week is focused around the message of Jesus Christ and His Church and a call to conversion. Life Week aims to encourage an understanding of the Church’s good news about life, family, marriage, ethics, bio-ethics and the dignity of the human person. Each university’s Catholic Society and Catholic Chaplaincy organise their mission weeks. To find out more information please stay in touch with them. Click on your university to get connected USYD, UNSW, MQ and UTS.